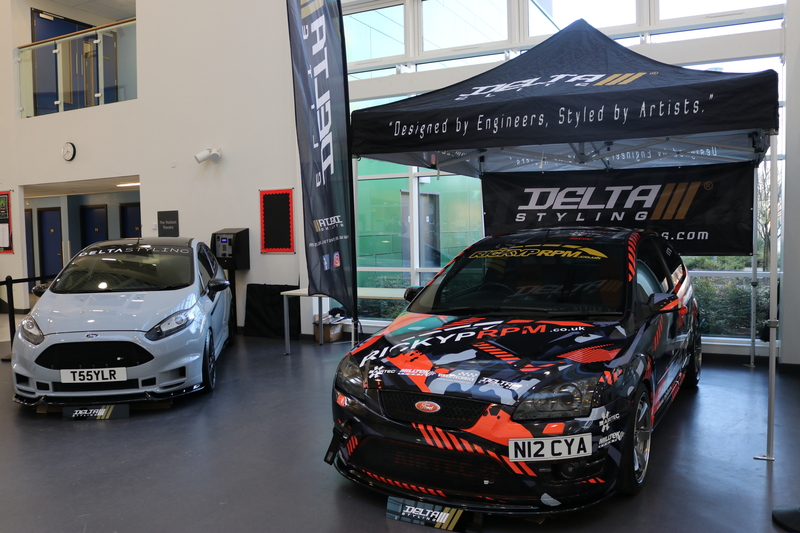 Last Thursday saw the launch of an all school competition in partnership with Carlton Motor Sport Ltd/Deltastyling. 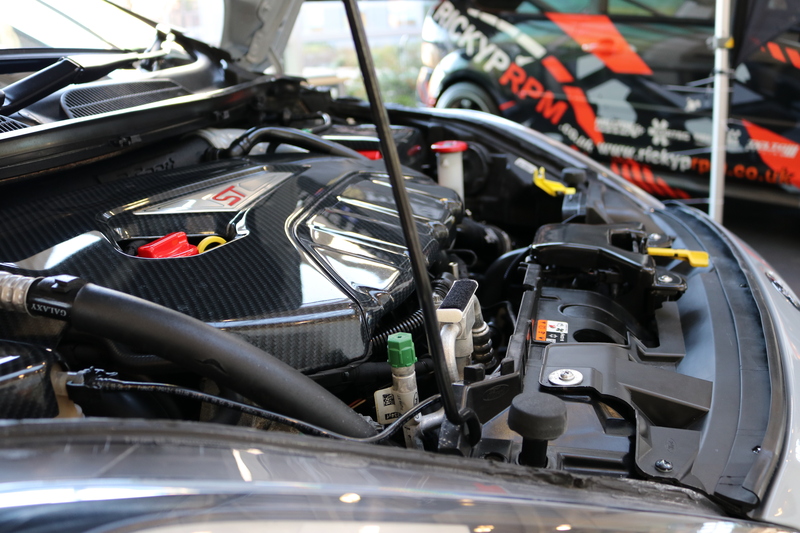 This local Barnsley business has over 100 years’ combined experience in the manufacturing and fitting of aftermarket car parts and are a leading design house in this field. They take great pride in the quality of their products and the innovative range. They already sponsor our football teams but wanted to offer all students a fantastic opportunity. 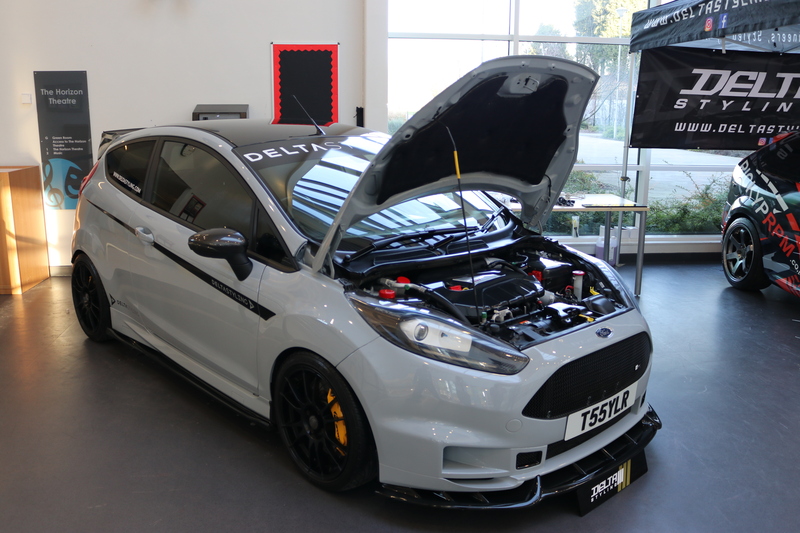 The competition launched last week saw 2 of their fully kitted cars driven into the central atrium of the school to provide a centerpiece for the competition. Every student is being given the opportunity to design a spoiler for one of those cars with winners in each year group receiving fantastic prizes and the overall winner having their spoiler manufactured. In addition, if the final design is viable they will put it into their new range and it will be sold commercially. If this results in a commercial sale the company have agreed that a % of the profits will come back into the school for use on other student enrichment projects. The competition created a real buzz around the school with students and staff. 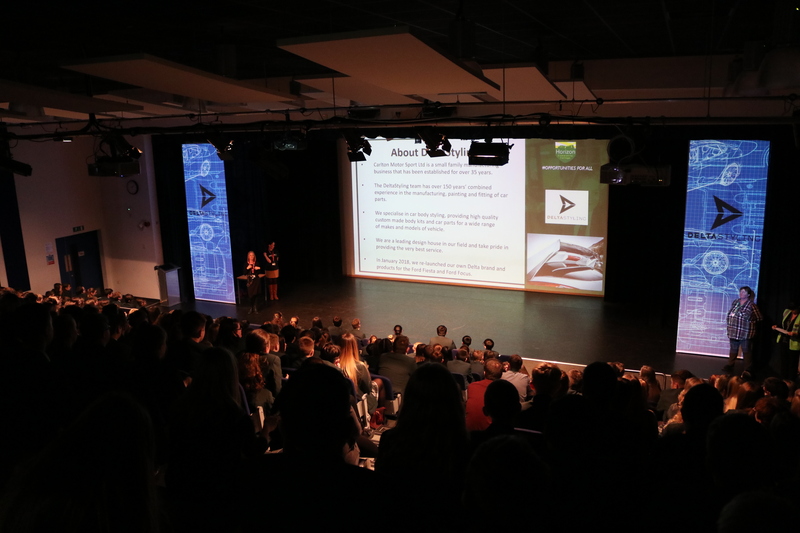 The most popular question was “How did they get them into the school?” The competition will run up to the end of March with the finalists presenting to the Delta Team in April and the overall winner announced before Easter.